Rabbi Haim Druckman said Thursday that the people proved in these elections that it opposes the separation of religion and state. In an interview with Galei Tzahal radio, Rabbi Druckman said, "The most important thing is that we ensure that there is a Jewish identity for the State of Israel. In these elections, the people proved that it is against the separation of religion and state. Those who declared that they were in favor of separating religion and state either did not make it into the Knesset or received very few seats." When asked about rights for the LGBT community, he replied that "We are a Jewish state and follow the Jewish path and the way of nature; In nature there is the family, which has proven itself for thousands of years, and we are nurturing the normative family." 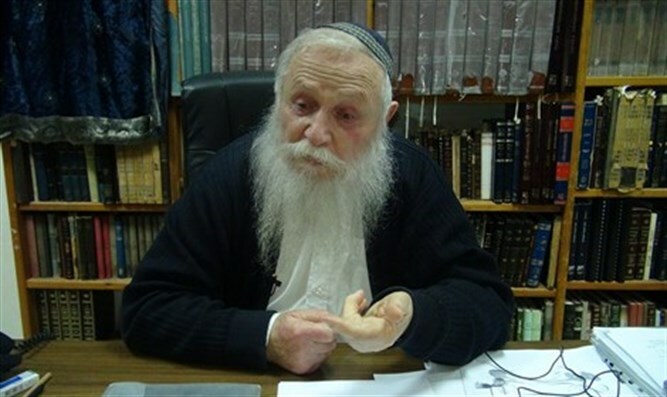 On the subject of Bezalel Smotrich and the possibility that he will be justice minister, Rabbi Druckman said that Smotrich could be a wonderful minister of justice. "He is very talented, very practical, he is inclusive and not as he is portrayed. There is a public that misinterprets Bezalel Smotrich."